The implications of what 3D printing could help companies accomplish are huge. As industries from health care to auto manufacturing see possible benefits, though, companies also need to stay realistic about what they can accomplish in the near future. To that end, it may be wiser to focus on smaller, more feasible supply chain changes before 3D printing becomes more commonplace. To be fair, this technology has already found a home in many sectors with high demand. Design News recently reported that 3D printing could expand as soon as next year, with organizations increasingly aware of the need for regulation and standards. The source said that 2017 could see more collaboration as different bodies band together to improve printing regulations. Forecasting the future of 3D printing will be difficult without including the related term "additive manufacturing." This simply refers to the way material from a printer is injected to make whatever parts are required. With flexibility a major concern, the ability to make items with custom details and based on specific plans could reduce the time processes take. Depending on what the printed objects are made of, the source said, suppliers may create parts that react to different environments, as well as models to help visualize changes. All of this points to the many ways this technology can disrupt normal business. One example of 3D printing is in the medical prosthetic industry, where advances have already gained attention. Forbes recently spoke to startup Voodoo Manufacturing's co-founder Jonathan Schwartz, who highlighted some of the advantages of using 3D printing. He said that 3D printing could grant companies the chance to produce on the most appropriate scale for each product. Voodoo specifically manufacturers prosthetic hands with 3D printers. In addition to making these aids more efficiently, these systems could also cut down on the gaps between locations and make it easier for businesses to hit their respective quotas, even if this doesn't comprise the entirety of production. "It's something that speaks to the value of 3D printing versus other methods," Schwartz said. "It's currently cheaper to mass manufacture a standard but you can do sizes and replacement parts with 3D printing." Following this logic, it's possible that the real benefits of this technology will be as a supplement to traditional systems before becoming the main source of components. As always, it's important to think of the challenges 3D printing has to overcome to be a significant disruption. For one, there's the barrier keeping 3D printers from organic material, although this could already be shifting. Digital Trends reported on a German candy company that is developing sweets that can come from a 3D printer. And while there's always room for future changes, the chief advantage of 3D printing could be its customization, not its efficiency. 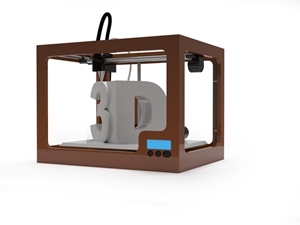 In a 2015 piece for Harvard Business Review, University of Oxford professor Matthias Holweg argued that 3D printing should be "a new tool in the box," not a complete replacement for the supply chain. He also stated that this system actually still requires labor, making it less simple than many may assume. Because of this, businesses can invest in managed IT services as a whole to manage new resources and systems. Do you have what it takes to be a consultant? Is nearshoring growing in the US? Welcome to 2017. No, 2016 Wasn't ALL Bad.